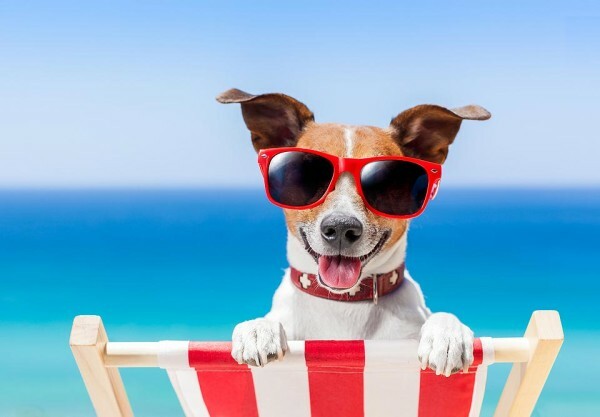 Summer is here and we all know that Texas Summers can get HOT; not only for us, but man’s best friend as well! Here are some tips to keep Fido comfortable. 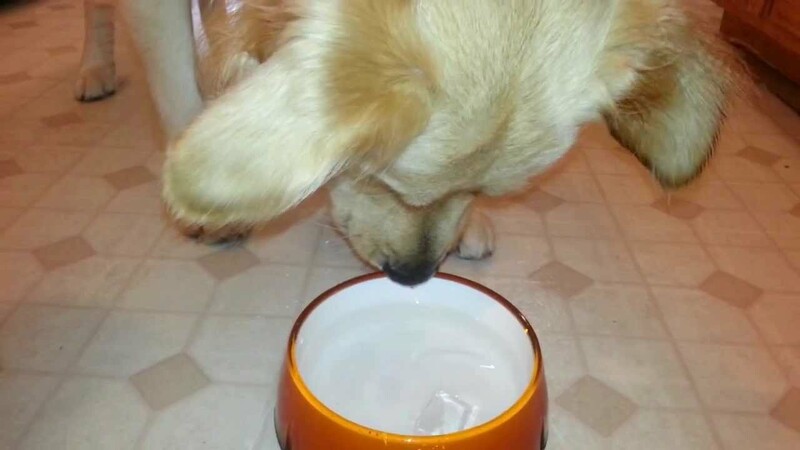 Allow your dog access to lots of clean fresh water. Add ice cubes to make it cooler. Walk early in the day or late in the evening. Stick to the shade preferably on grass or soil. Asphalt can get really hot and burn your dog’s paws. So if it’s too hot for your bare feet, it’s too hot for his paws. 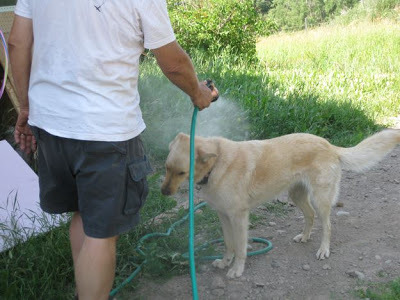 Wet your dog’s head with a moist towel before you leave for your walk. As his hair catches the breeze it will cool him down. You can even wet his whole body. 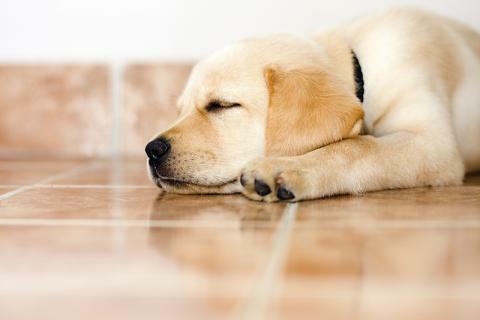 Let him find the cool spots in your house, like the kitchen or bathrooms that have tile floors. Play indoor games like Fetch, Chase or Hide & Seek. Take a trip to a lake or river in the area and let them go for a refreshing swim. You can encourage him by tossing a tennis ball in the shallow edge and slowly throw it in the deeper areas. As the owner of Pawsitive Solutions Dog & Puppy Training, I always incorporate these tips when exercising and training. 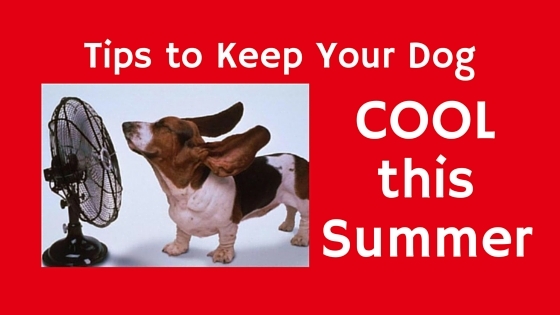 Keeping your dog cool is serious business. 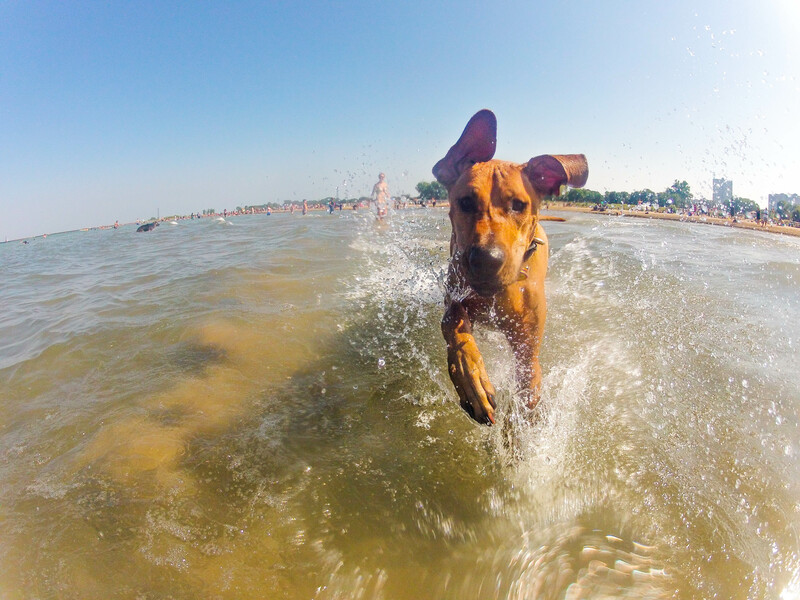 With the weather heating up, it is important to protect Fido and avoid heat exhaustion.